When you mention Vincent HRD, just about everyone thinks of the big vee-twin, the legendary Phil Irving-designed machine that is today one of the most valuable and collectable motorcycles on the planet. Likewise Ducati; the Bologna company that has several times staggered from the brink of ruin to today occupy the mantle once enjoyed by Vincent as a maker of mouth-watering vee twins that continue to dominate World Superbike racing and power a wide range of road-going models. But Vincent began with singles, and produced them for the entire length of the firm’s history, and it was simple one-lung designs that set Ducati on the path to greatness as well. The very first post-war Ducati was the Cucciolo (Little Pup) – a 48 cc four-stroke single with its exposed overhead valves operated not by pushrods, but pullrods. The clip-on Cucciolo engine found its way onto innumerable bicycles, but as Italy struggled out of its post-war depression, Ducati used the revenue from the Little Pup to fund a series of larger motors installed in their own cycle parts in sizes 60 cc, 65 cc, 98 cc and 125 cc. Unlike the Cucciolo, these larger engines used conventional pushrod valve actuation, with the valve gear enclosed. In Ducati’s history, a red-letter day is May 1st, 1954 – the day when the young engineer Fabio Taglioni joined the workforce. The first product to emerge from his drawing board was the 98 cc Gran Sport, with bore and stroke of 49.4 mm x 52 mm and bevel-driven single overhead camshaft. This basic unit-construction, wet sump design was to become Ducati’s signature for the next twenty years. In the accepted practice of the time, the Gran Sport used hairpin valve springs with exposed rockers to the valves. A four-speed gearbox with gear primary drive was employed. On the early versions, power output was listed at 9 hp at 9,000 rpm, but with development this soon rose to 12 hp at 10,500 rpm, pushing the little machine along to an impressive 140 km/h. In ordered succession, a 125 cc version with the same stoke and a 55.5 mm bore appeared, producing 14 hp, and soon after a 175 cc 16 hp with a claimed top speed of 165 km/h – a genuine 100 mph single. These larger models did away with the exposed valve gear in favour of full enclosure. In parallel with the successful road machines, a racing program was instigated with double overhead camshaft 125s, some using what was to become the company’s trademark desmodromic valve operation. By the mid 1950s, the basic design on the road models had been further refined into the 125s and two versions of the 175 in S and T variants. In 1959, the largest-yet version, at 203 cc appeared in four guises, including an off-roader. By this stage Ducati had serious designs on the export market with importers set up in the vital US market as well as Great Britain. The next step, and an important one for the export markets, was a full 250, and this appeared in early 1961 – the roadster Monza and the sporting Diana. The off-road model, with abbreviated mudguards and smaller fuel tank was sold as the Scrambler. Despite some reliability issue, chiefly in the electrical department, the new 250s sold well, and were updated in 1964 with five speed gearboxes and the addition of two new versions, the 250GT and the Mach 1. The latter was a spirited performer with its reworked cylinder head housing bigger valves and a high performance camshaft, a 10:1 compression ratio and a 29 mm SS1 Dell-Orto carburettor. 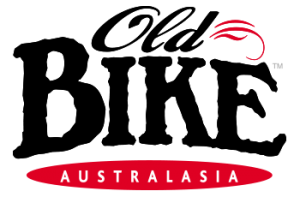 And this is about where Australasia comes in. Very few of the early models reached the Antipodes, but Ducati was keen to establish a market here. 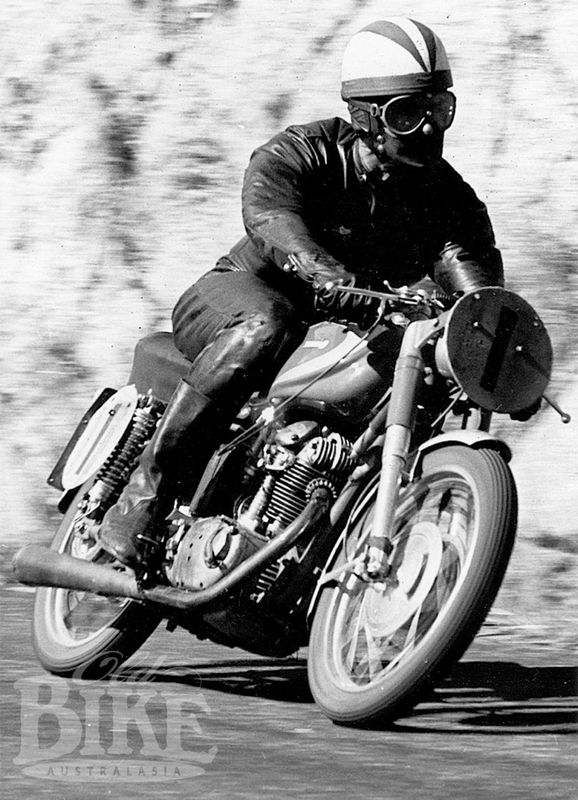 In 1960, the factory loaned two bikes, a 125 and a 216 cc version that had started life as a 175 SOHC Sport, both double overhead cam desmos, to Australian Ken Kavanagh, former GP winner and for many years an Italian resident. Kavanagh brought the Ducatis to Australia in the European off-season and contested the Victorian Grand Prix at Phillip Island, where he comfortably won the 125 GP, but the larger machine broke down in both the 250 cc and 350 cc races. He also contested events at Fishermen’s Bend, Symmons Plains and the Australian GP at Longford, where he scored an amazing victory on the 125 by winning the 250 GP. Both bikes were offered for sale before Kavanagh returned to Italy, but there were no takers and they were shipped back to Genoa. The 125 was sold to Jim Redman and the 216 passed through various hands before it was acquired by the Midlands Motorcycle Museum in Birmingham. First man to win a Production race on a Ducati in Australia, March 1965, Alan Hart on his Mach.1 250, shown here at Bathurst the following year fitted with megaphone exhaust. There was also a private 125 racer in Australia at this time, imported by Bendigo Motel owner Jack Walters and ridden on occasion by Tom Phillis and Ken Rumble. 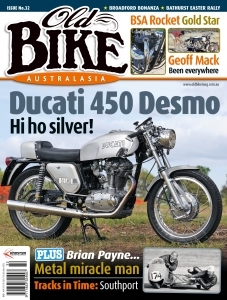 But it was not until February 1965 that Ducati officially appointed long-established Melbourne and Geelong dealers L.F. Pratt Motorcycles as Australian distributors for the company’s products. The appointment was as a result of a visit the previous October by Dr. Guiseppe Montano, managing director of Ducati Meccanica. By this stage, and as a result of healthy sales in the US, Ducati had become the largest motorcycle producer in Europe, employing more than 1,000 people at their headquarters in Bologna. 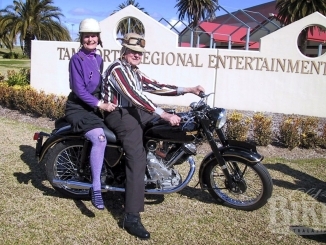 Norm Fraser Motorcycles, based at Broadmeadow, Newcastle, was appointed NSW distributor. 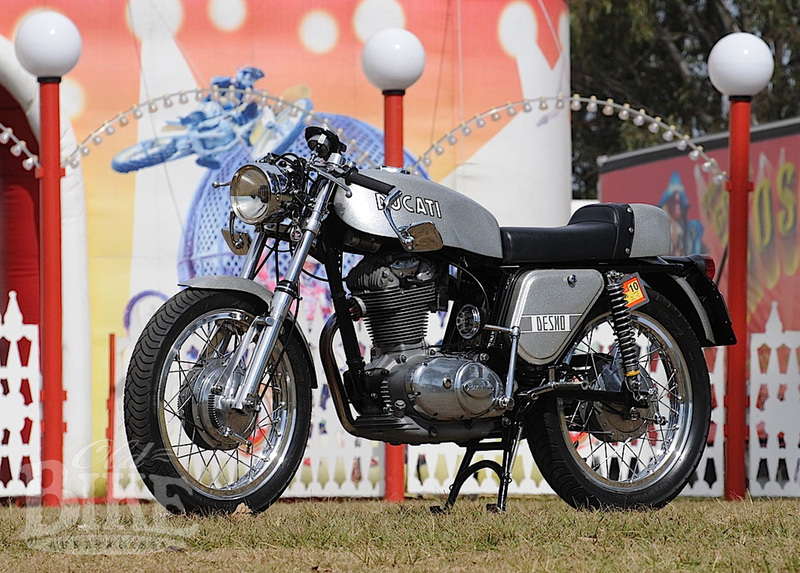 The initial Australian line-up comprised the Monza, a sedately-styled road machine, the sporting Mach.1 and the Scrambler, all powered by basically the same 250 cc OHC engine with a 5-speed gearbox. States of tune varied between the models, with the Mach.1’s engine running on 10:1 compression and reputedly capable of 100 mph in standard trim. It featured a handsome 16-litre fuel tank and, like the Scrambler, carried a list price of £319/10/- ($639). The Mach.1 was a winner first time out in the very competitive Lightweight Production class at Oran Park on March 21, 1965, in the hands of Newcastle rider Alan Hart. A major factor in Ducati’s destiny had been the US Berliner Corporation, importers of the brand since 1959 and dictators to a large extent on company policy. It was at the behest of the Berliner brothers that the 1200 cc V-4 Ducati Apollo was conceived, two examples being constructed before the pin was unceremoniously pulled. The Apollo project soaked up an enormous amount of Ducati’s capital and development resources, but an even bigger blow was when Berliner cancelled an order for 3,500 motorcycles in early 1967, which were ready for dispatch from Bologna. After being hawked around various suitors, that entire consignment ended up in UK in the hands of entrepreneur Bill Hannah, much to the chagrin of the official UK importer, Vic Camp. Berliner had considerable influence in the styling of the Ducati range, ‘to reflect American taste’, resulting in what is referred to as the ‘square look’, with sharp sided petrol tanks, side covers and angular headlights in place of the usual svelte Italian lines. The square look was certainly not to UK taste, nor Australian, and increasingly, not US either. The biggest-yet Ducati, the 350 Sebring, appeared in 1965, with a 76 mm x 75 mm bore and stroke giving 320.2 cc. There was still no sign of the desmodromic valve gear used on the works racers being employed on a production road bike, but it was getting closer. Taglioni had long espoused the desmodromic design; proven emphatically in the virtually invincible Mercedes Grand Prix cars of 1954-1955, but there was no doubting that employing the principle of positive valve opening and closing was a complex and costly exercise for a production motorcycle. The idea itself was beautifully simple; two camshafts – one to open the valve and the other to close it, and with the elimination of valve float, theoretically sky-high rev limits. The early 125 Desmo Ducati racers were capable of up to 14,000 rpm, after which point failure-factors other than valve gear came into play. By 1968, Ducati was soldiering on with its four-stroke singles when everyone else was chasing bigger capacity and more cylinders. Ducati stuck to its guns, and as the first stage for a project new range of singles, produced a new crankcase (often referred to as the ‘wide case’), allowing a more robust bottom end with larger main bearings and crankpin. This, combined with a new frame and forks, cured much of the malaise of previous models, but with the penalty of extra weight. Curiously, a six-volt electrical system was retained. The restyled Mark-3D 350 with desmodromic valve gear arrived in Australia in mid-1968, and as well as the engine updates, came with a revised frame with a double-loop rear assembly. It was still a six-volter however, and devoid of by-now accepted touches like turn signals. The all-new 450 Desmo, with 86 x 75 dimensions giving a capacity of 435.66 cc and 27 hp at 6,500 rpm, made its European debut later in 1968, and soon after, regular production of the desmodromic engines in 250, 350 and 450 form commenced. Ducati was now in serious financial trouble, exacerbated by Berliner’s terminal strife in the US, and production of the new singles was an erratic process according to available resources – both desmo and valve-spring variants were produced simultaneously. The first 450s seen in these parts were the R/T models, a street-scrambler style machine so beloved by the Americans, and sold very well in both the US and Europe. The sales success of the R/T effectively delayed the ‘road’ version of the 450 Desmo, which followed closely on the style of the Mark 3D 350. The new Desmo 450 featured a slightly garish silver metalflake paint scheme for the fibreglass fuel tank, front mudguard and side covers, leading to the nickname ‘Silver Shotgun’, which has stuck in more recent times. The styling was a café racer’s dream, with rear set footrests, a racing style hump-back seat, clip-on handlebars, Borrani 18-inch alloy rims and snazzy Grimeca double-sided single leading shoe front brake. Front forks were 35 mm Marzocchi, with a white-faced Veglia tachometer (red-lined at 8,500) mounted on top of the steering head. Rear shock absorbers were also Marzocchi, with unusual full-length springs with a wire loop pre-load adjuster. The swept-back exhaust finishes in a Silentium silencer with a chopped-off tail. The final version of the 450 Desmo appeared in 1974, now yellow in colour and with Ceriani forks and a disc front brake. 250 and 350 valve-spring singles continued to be produced under licence at the Spanish Mototrans factory until 1981, but for the purists, the last real Desmo single rolled out of Borgo Panigale seven years earlier. Gaven Dall’Osto reveals a tale of love at first kick. 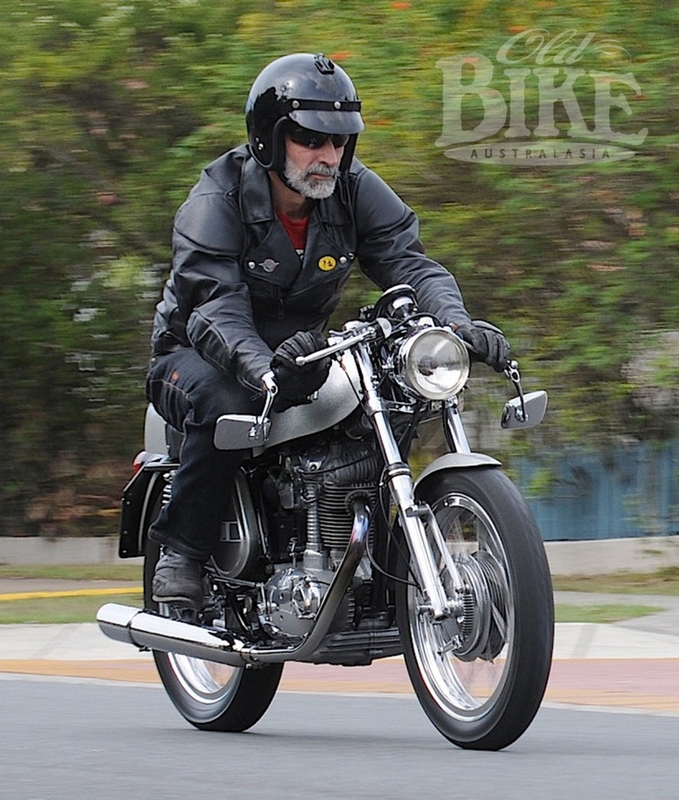 “I had lusted over the café Ducati singles ever since the late 1970s. A uni. mate of mine had a ‘74 Orange/Yellow 450 and it won my heart. I went searching in earnest in 2007 and found a few hidden away but their owners all refused to part with them. Finally after much badgering I was offered and accepted a 1974 Orange/Yellow 450 which had been parked in 1978 and needed a lot of work. No more than 8 weeks went by and the bike I really wanted was offered – registered and ready to go. I hastily went to check it out. It was fairly original and the engine and gearbox had been recently rebuilt. Things that needed doing I could do myself. It was hard to start for the test ride but on the 10th of July 2008 the 1971 450 Silver Shotgun was loaded on the trailer and homeward bound. After a quick paint repair to the tank and a major clean up, my first outing was to the Laverda Concourse. The bike was OK when it was going but I had trouble starting it sometimes and other times it would fire first kick. I took it to Qld. Transport to transfer the registration at 4.15 one lovely afternoon. With numbers checked and paperwork sorted it was back to the car park where she refused to start. The car park is fenced and closed at 5, so I had to gather up my tools and move her out to the footpath. There was spark and there was fuel? Under a street light at 6.45 she finally fired. I was not happy at the time, but what bugged me was that there was no logic to why it was so hard to start. I progressively replaced all things electrical, coil, condenser, plug wire, spark plug, battery, cleaned the points, checked timing etc. Still, some days it was first kick, others well, let’s just say it was character building! Then one evening, I was manually operating the points (with ignition on) and I noticed a spark at the pivot point of the points set. I discovered that even though the moving point arm had a Bakelite pivot bush, the inside face of the pivot arm could still earth to the fixed arm of the point block. A wad punch & an ice cream bucket lid made an insulating washer & from that time on starting is a breeze. Speaking of starting, firstly you have to get used to the left side kick starter position. Initially I used the right leg but tore my calf muscle twice. I now use the left leg which looks awkward but works for me. My cold start procedure is to flip up the LH footrest and brake lever (to allow the kicker to clear them) and flip out the kick start pedal. With the fuel tap on, screw in the throttle friction screw to hold the throttle just cracked open, with no choke. There’s no decompression lever so it’s full weight on the lever and kick her through two or three times to charge the cylinder with fuel, as there is no pumper or tickler on the standard VHB 29A Dellorto. Turn the key on and make sure you get a bright ignition light (a dim light means a battery with low charge and a difficult start). If the battery charge is very low it will not start, so always keep the battery fully charged by means of a trickle charger. Ease the kicker to just over TDC, reset kicker home, kick through the full swing and the engine comes to life. Reset the throttle position for a quick idle and after warm up, release the throttle friction screw and let the throttle fall back to idle. Fold in the kick start pedal and don’t forget to fold down the foot rest & brake lever before takeoff ! Hot start is the same but it will start easily on idle and only roll the kicker through gently. It should start when three quarter through the swing and the sudden release of resistance on start up can do calf muscle damage with an exuberant kick. There is minimal seat padding, and no foot peg rubbers but surprisingly these frills aren’t missed. I do get some discomfort due to the loading on my palms with slow stop-start riding on city streets but on the open roads – no problems. Vibrations are there, but mainly at idle when the horn can be seen dancing on its spring steel bracket. Above idle it is fine and I have never experienced vibration numbness. Rear shocks are manually adjustable through 3 settings. A simple fold out wire lever operates a stepped cam which adjusts the length of the shock spring and alters the rear stiffness. City riding is acceptable, but not ideal. A high first gear and city traffic puts a lot of load and heat into the clutch which needs to be managed. Apart from that it’s light and manoeuvrable and a joy on roundabouts and tight spaces. No indicators make it a hand and leg signal bike and even though it’s not ideal at night I enjoy night rides to club meetings. The headlight is also a built-in speed limiter, especially with old bloke eyes. Given its age the Shotgun is an absolute joy on the open road and you can get a huge buzz while within the legal speed limits. You sit in the bike and you are the master. Minimal effort is required to get instant response. The five close ratio gears, and light accurate handling makes it ideal for the twisties. Get that little single revving and listen to the bevel and Silentium symphony. Twist the right hand and watch the needle swing freely on the beautiful white faced Veglia tacho which is purposefully positioned high and in your line of sight. There’s no point in looking at the speedo – you have to stand up in the seat and peer over the head stock to see it in the headlight casing – sorry officer. Cruising at the speed limit is a breeze with good overtaking power on tap. Mine is totally standard (including the standard air cleaner) and is good for at least 95 of the 150 mph available on the Veglia Speedo. The engine has a low pressure oil pump and roller big ends so it is important not to labour the engine or the rollers tend to chop into the crank, so keep it revving to keep the rollers rolling and to maintain a good flow of oil from the pump. I never ride below 3000 RPM in any gear and around town is a 3rd gear maximum. No paper element filter is included and only a simple fine screen at the oil pump entry keeps the solids out. The unit construction means that the gearbox, clutch and engine share the same sump and the fines from each contaminate the oil. It is therefore recommended to change oil every 1000 miles as insurance to keep the crank sludge traps clean and maximise engine life. Use the best type of oil available to deal with high revs and the heat load from the air cooled engine. Putting ethanol into old fibreglass tanks can be an expensive exercise. Original tanks are not replaceable and many have been eaten away. In the US the fuel is even more adulterated and many owners have removed their precious originals and had replicas in epoxy fibreglass or aluminium made. Tank lining emulsions are also available but there is still no guarantee that it will last long term. High octane (non ethanol) fuels work but the engine may need to be re-tuned to suit. These fuels are not always available during country outings and some of them need the fine atomization of fuel injectors to burn properly. I have applied a Caswell Epoxy type sealant inside my original tank and so far so good. The exhaust nut is threaded into the engine. It is very important to keep this nut tight. If you run the bike with a loose nut the vibration will erode the barrel threads away which is an expensive fix. A special spanner with radial grooves is required to mesh with cooling fins on the exhaust nut to do the tightening properly. Simplicity of design and accessibility makes working on and cleaning the Shotgun a breeze. The head can be removed without removing the tank; I found this out when I had to repair the spark plug thread – I recommend Timeserts for this type of repair. The rear seat and seat-stop is one piece. It slides onto pins at the front so removing 2 rear bolts removes the whole assembly. To remove the tank you remove the seat unit, remove the fuel lines, unclip the rubber band at the rear of the tank, remove two nuts on the front rubber tank supports, and lift the tank off. The engine transmission assembly is a precision instrument, so accuracy is imperative. The valve gear is driven from the crank to the overhead camshaft by a series of bevel gears. Accurate crank end float and correct shimming of the bevel gears is very important but when done correctly requires little maintenance while offering a more precise timing than other drive systems. Desmodromic valve operation only requires light valve springs for engine starting, so the top end and valve seats are under-stressed. This system requires minimum engine power to run and eliminates valve bounce at high revs. Again the valve shimming is important to get right. The Desmo design only allows short valve guides and as a result they wear more quickly. If you enjoy a lie-down bike and like short sprints through the hills, you will really enjoy the Shotgun. The light weight, agility and minimal effort required to move it around – either under power or not – makes it easy to live with. The sight and sound of the Shotgun gains a lot of attention where ever you go, so it’s difficult to get around unnoticed. It’s not a perfect bike, it requires a fair dose of attention, but in return this attention is handsomely rewarded. It is a bike with a personality and a soul and difficult not to develop a bond with it. My Shotgun sleeps in the back room of my house, is part of my family and probably always will be”. Engine: Single cylinder four stroke, bevel-driven single overhead camshaft with desmodromic valve operation. Front brake: Grimeca 180 mm double-sided single leading shoe. Rear brake: Grimeca 160 mm single leading shoe. Geoff Mack – He’s been everywhere, man.